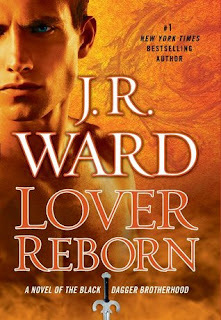 #1 New York Times bestselling author J. R. Ward’s “different, creative, dark, violent, and flat-out amazing”* Black Dagger Brotherhood continues as a vampire warrior crosses the line between life and death…into a world of dark dreams and darker desires. Ever since the death of his shellan, Tohrment is a heartbroken shadow of the vampire leader he once was. Brought back to the Brotherhood by a self-serving fallen angel, he fights again with ruthless vengeance- and is unprepared for a new tragedy. Seeing his beloved in dreams—trapped in a cold, desolate netherworld—he turns to the angel to save his former mate, only to despair at the path he himself must take to set her free. As war with the lessers rages, and a new clan of vampires vies for the Blind King’s throne, Tohr struggles between an unforgettable past, and a future that he doesn’t know he can live with… but can’t seem to turn away from. After loosing his shellan in one of the earlier books Tohr must learn to love again in order to save her from the inbetween, the limbo that's neither the Fade or hell. I told this synopsis to one of my friends and she said it was stupid. And I sorta, kinda, tinsy bit, have to agree with her. When I first started reading this series I thought Ward was crazy. Why did she like to torture her characters? Why did someone have to die? Why can't they all be happy? But as you read more and more of her books you get used to it. You realize that no one can have a perfect happy ending. So when I heard Tohr would finally get his own book, I was sort of nervous. What could she possibly write to make his pain go away? And then I read it, and I have to say I wasn't very surprised. The romance and chemistry between Tohr and No'One wasn't perfect, but was something that was definitely believable. But there were a lot of things that I didn't like either. I've gotten over her weird slang, but the amount of brooding and emotional angst in this book is sometimes overwhelming. If I had the chance to slap Tohr for all the stupid things he did, his face would be the color of a cherry. Although, on the other hand, Lassiter would have done that job for me. Finally, if you're a Blay and Quinn fan, you might be a bit disappointed. There's no development in their relationship and I seriously doubt that they're going to have a book anytime soon. And the thing with Xcor and Layla? Come on woman, stop being so wishy-washy.